He found me in blood and tears. I stayed with him through darkness and fire. We loved each other in the moment between innocence and bitter truth. We were the kids easily ignored, who grew into adults we hardly knew. We weren’t meant to last forever. And we didn’t. I tried to move on. Yet I never stopped thinking about the boy who had fought to keep me alive in a world that would have swallowed me whole. He was the past that I buried, but never forgot. Until the day I found him again, years after believing I had lost him forever. And in cold, resentful eyes, I saw the heart of the man who had been everything when I had nothing at all. So I vowed to hold onto the second chance that was stolen from the children we had been. Sometimes fate is ugly. Life can be twisted. And who we are can be ruined by who we once were. For two people who had survived so much, we would have to learn how to hold on before we were forced to let go. This was one of those stories that I define as heartbreakingly beautiful. I shed many tears over the story of Yoss and Imi and they are two characters that have stayed with me some days later. I find my mind wandering back consistently to these two such is the impact that their story has had on me. While A Meredith Walters covers some tough subjects throughout this story they are delivered with style, compassion and empathy. The writing was flawless, emotional and stunningly beautiful even though the story depicted was nothing but harrowing, heart-breaking and tragic. The scene setting was spot on with visceral, atmospheric prose that transported you to living in The Pit alongside these lovable characters. While A Meredith Walters takes you on one intense, emotional journey, you will be uplifted with a stunning love story woven in between the dirt, filth, diatribe, despondency and degradation that these people suffered on a daily basis. Imi was a sixteen-year-old runaway, fed up with being invisible to her self-absorbed mother and treated like she didn’t exist. Having had an extremely tough experience and then turning to her mother for help and advice, once again she is admonished and so she leaves. The streets are not for everyone and are extremely unsafe. Imi is lost, alone and absolutely terrified. On her first night she is confronted by an unsavoury character but Yoss comes to the rescue. Yoss, short for Yossarian was such a beautiful character, he was selfless to a fault and took it upon himself to keep the homeless safe, sheltered and fed. Having been on the streets for years he doesn’t really know a different life but he was a protector through and through. Yoss was the bread winner within this group of friends and the lengths he goes to, to ensure they are fed was heart breaking at times, but to him it was a necessity and something that he was prepared to endure to make sure that his friends didn’t suffer the hardships that living on the streets entailed. If it wasn’t for Yoss, these characters would have succumbed to life on the streets years ago. 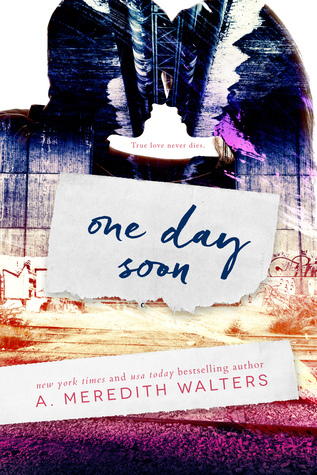 A Meredith Walters, I take my hat off to you for delivering such an intense, emotional story that despite being so tragic and so heart-breaking it was captivating none the less. A story that had me in tears for the majority and left me wanting to walk the streets to try and help these individuals that find themselves with nothing to live for. A story that made me think and to take stock of my own future relationship with my own children, I never ever want them to think that this would be their only option. And while there isn’t much bright side in this novel one thing that it will leave you with is that sense of camaraderie, friendship and of ultimate sacrifices, of true love and soul mates and even though their story is not easy it gave me so much and is one that I will never ever forget. Seriously, read it, devour it but most of all take something away from it, it is one of THOSE books.